Shopping for Pink Floyd Lunch Boxes? Celebrate the 40th Anniversary of Pink Floyd's iconic Dark Side of the Moon album! 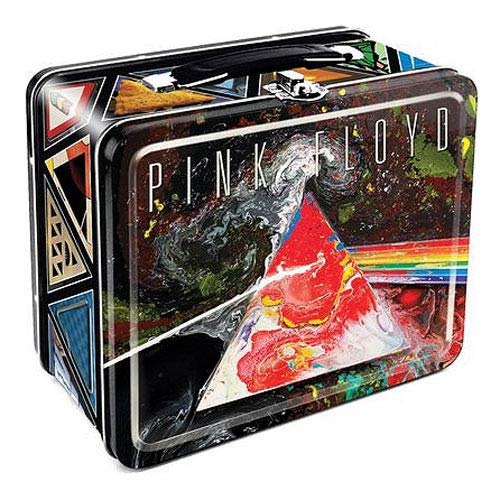 This Pink Floyd Dark Side of the Moon Tin Lunch Box features a really cool design that fans of the psychedelic band will really love. It's the perfect thing for you to hold your lunch inside! Measures about 8-inches long x 6-inches tall. Ages 14 and up.